One contestant in the costume contest at the L'Oreal "Because Your Dog Is Worth It Too" event this weekend, benefiting the Walk for a Cure for breast cancer. One of the largest dog events in NJ (usually about 5000 dogs and several thousand people). 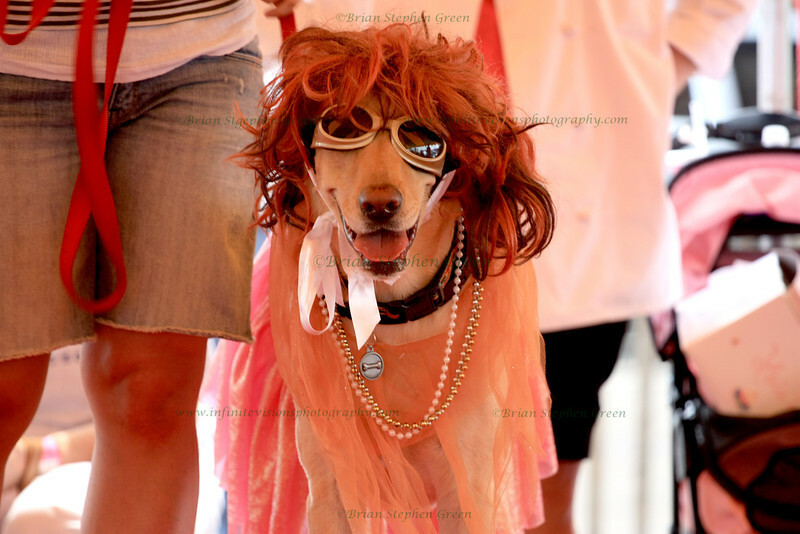 It is always a good time packed with cute pups, wonderful events and vendors, and celebrity dogs such as Elwood. This pooch's costume was "dog in drag" - can't remember his name though. Extremely busy week last week, followed by a nice weekend getaway for my wife's b-day - finally caught up on 4 days of posting. Hope everyone is well! Oh my gosh, and I missed this?!? Dog looking divine, dahling, divine! Well, this dog seems to be cooperative although I'm not an advocate of treating dogs like children or people. It's a neat capture tho. Fun catch! Kinda feel sorry for the dog though. Great catch of a very tolerant dog!